Dancing Monkey is very pleased to announce that our short film GOOD FORTUNE DRINKS TOO MUCH has been selected to be presented at Cinédance 2016 as part of the Bouge D’ici dance festival. The event will happen on January 29th starting at 8pm at the Mainline Gallery (3905 Boul. St-Laurent). If you are in the Montreal area mark that night on your calendar. Facebook event page click: HERE. This will be the second time Dancing Monkey Laboratories will take part in Cinédance. 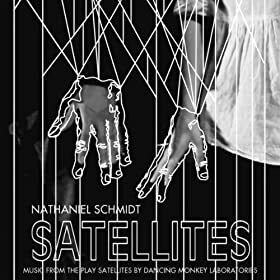 Previously our short film SATELLITES CAPTURED was presented in 2014. GOOD FORTUNE DRINKS TOO MUCH was featured in the Dance Current in July 2015 and images from the film were featured on the site Bohemianizm in October.